Global Political Solutions, LLC, (GPS) is a leading independent multi-service business development and government relations firm, focusing on international market growth through foreign direct investment models, political risk analysis and public private partnerships. 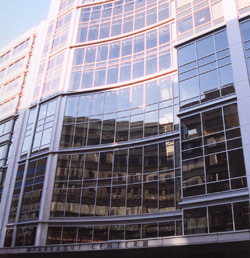 GPS is headquartered in Washington, DC with local and international representatives in New York City, India, Africa, Latin America and the Caribbean. While political risk analysis, foreign direct investment and public private partnerships are certainly not new business tools, GPS represents a fresh approach to the application of these processes to help you reach your target market. Global Political Solutions (GPS) will act as a bridge between the private sector, civil society and the public sector. Our team of associates understands trends within emerging markets and will help favorably position client products, services and people in a rapidly growing and fluid environment. Our firm is considered by many in the industry to be a pioneering force behind innovative new-age strategic communications and grassroots lobbying techniques. No aspect of doing business on a national or international basis is easy. Every situation requires a careful analysis of various market dynamics, competition, and regional nuances before formulating a strategy and plan of action. As the demand for coordinated national and international business communications has grown, the demand for the services GPS provides has grown. We have developed a flexible approach to address the different needs of each client and each situation– quickly and effectively. Thank you for considering Global Political Solutions, LLC and we look forward to working with you.